Biography Cherie has shared spirited, sustaining stories for forty five years throughout the USA and abroad. She offers performances, workshops, keynotes, master classes and mentoring for all ages. Stories: Jewish, world cultures, family, original tales. Storyteller/Author-in-Residence. 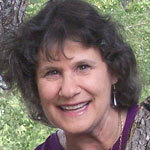 Cherie has been featured at many Rocky Mountain Storytellers’ Conferences.